Over the past 19 years, the Freemasons of Nova Scotia have assisted 2317 youth of our province in the pursuit of their educational goals and future careers, and invested a total of $1,305,500.00 in a concerted effort to help our graduating students achieve their goals and professional aspirations. The Freemasons of Nova Scotia have always been a most charitable organization donating thousands of dollars each year to various charities throughout Nova Scotia. However, in the early 1990’s the Freemasons of Nova Scotia were interested in investing in the future of the youth of the province of Nova Scotia. 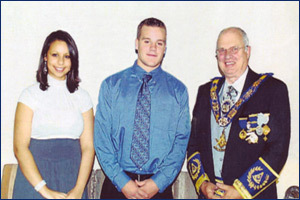 The Nova Scotia Freemasons Bursary Program was established to provide financial assistance to worthy grade twelve graduating students, who were residents of Nova Scotia, and pursuing a post secondary education leading to a degree from an approved Degree granting institution in Atlantic Canada, or a diploma, or certificate from a Community College in Nova Scotia. The Program is jointly sponsored by the Masonic Foundation of Nova Scotia and individual Constituent Lodges or Districts throughout the province with the intention of giving Bursaries to deserving students graduating from grade 12 in high schools in each lodge’s local area. The Masonic Foundation matches the amount donated by the individual lodges. This year we are pleased that approximately 70% of the Masonic Lodges and one District in Nova Scotia participated in the Bursary program. All Students Graduating from Grade 12, applying to an accredited University within Atlantic Canada or a Community College in Nova Scotia, should inquire at their Guidance Office for more information about The Nova Scotia Freemasons Bursary Program. 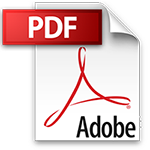 Bursaries are awarded to students attending only those Universities in Atlantic Canada and Community Colleges in Nova Scotia which are on the authorized list provided by the Masonic Foundation of Nova Scotia. Students are encouraged to consult their Guidance Counsellors to see whether the post secondary institution, they are planning to attend is on the authorized list, prior to applying for a Nova Scotia Freemasons Bursary. The Masonic Foundation Bursary Program is always looking for ways in which to enhance its gifts to students. Through the efforts of Dr. J. Colin Dodds, President of Saint Mary’s University (SMU), and the Chairman of the Bursary Program, Saint Mary’s University will assist Masonic Bursary recipients. If the student attends SMU and maintains their academic standing, SMU will match the Masonic Bursary in the first year of attendance. The Masonic Foundation Bursary Program thanks Dr. Dodds and Saint Mary’s University for the continued support and faith in our young people.